The term Ethernet in basic terms is cables linked to a network which in-turn send data packets across several networks. Ethernet works by linking computers and other devices through cables. One end of these cables is connected to the computer, and the other is to a connector. These Fiber Connectors could be Repeaters, Hubs or fiber switch. In the present, the Ethernet technology is available in many versions. The earliest ones are the 10BASE5 (the very first standard), 10BROAD36 (the first standard that allowed long-distance connections), 10BASE2 (also known as the Cheapernet) and 1BASE5 (said to be a failure but started the following developments in Ethernet technology). The more modernized generation of the technology came with different speed performances. The 10 megabit Ethernet was the first to step out of the previous 1Mbit/second rating. And then the Fast Ethernet, which upholds the rate of 100Mbit per second, dethroned the previous by executing ten times higher. And then the Gigabit Ethernet was born, priding itself with an even more edgy speed of 1 gigabyte per second data transmission. The Gigabit Ethernet soon opened doors for the 10 Gigabit Ethernet, the variant that surpassed its already-powerful precedent. And today, the public is only waiting for newer versions 40 and 100 Gigabit to be released. Some Ethernet knowledge you must know. The 10 Mbps protocol continues to be most widely used for most networks, and commonly regarded as ‘Standard Ethernet’ as well as 10BASE-T. Many networks are currently making use of something known as the ‘Fast Ethernet’ which uses a 100 Mbps protocol and is known as 100BASE-T. Finally you will find the 1000 Mbps protocol which is referred to as the ‘Gigabit Ethernet’. 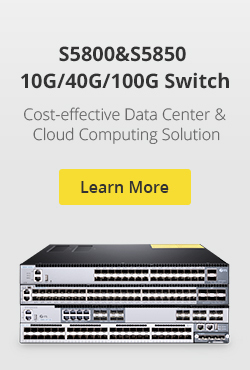 Most LAN systems at present use a Fast Ethernet for the main system, and every one of the computer workstations will use particular 100BASE-T or 10BASE-T ethernet card which the LAN facilitates. The Ethernet is classified making use of international standards, explicitly IEEE 802.3. It makes it possible for the connection of fiber optic cables, up to 1024 coaxial nodes and the twisted-pair cable and the most often used is the Category 5 cable. The Ethernet functions in such a way that signals are transmitted serially from the primary location to all locations within the network. The Ethernet will make use of a CSMA/CD Carrier Sense Multiple Access/Collision Detection. This implies that all locations will hear all transmissions but is only to listen to the ones that have been meant for it. Depending on the size your network you are able to select Standard, Fast or GigaByte Ethernet setups. Obviously, the bigger the network the higher the Ethernet setup you need to utilize. If you use the Standard Network but have hundreds of workstations on the network, it may not be able to handle all the transmissions and can have too many collisions which will decelerate everything. 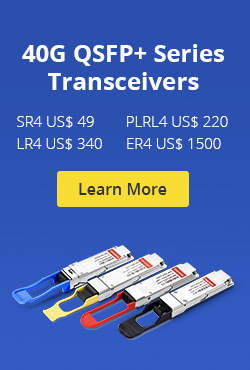 Want to have some products to support your Ethernet, like serial to ethernet, ethernet card,ethernet Media Converter and so on. FiberStore maybe can help you. Many newer versions of Ethernet are updated often as the necessity for more performance primarily based services becomes imperative. The wants of organisations differ and thus does the dimensions of the network. The value for putting in place an Ethernet network depends upon the quantity of computers that is to be connected on the network. The computers therefore connected through the Ethernet network can share a common operating system, security measures and unique identification certificates. It uses special routers, switch or modems for this according to the need or necessity. It wants minimal hardware and that is principally Ethernet cables to connect. It will be used for both wired and wireless interfaces. Even for personal use one will founded the Ethernet affiliation to attach a pair of-three computers among the same home network. Thus it is extremely helpful to form a standard communication network within an area. Knowing what ethernet communications are will be terribly helpful to all technocrats and even the laymen as everyone is using computers at home and within the office. This entry was posted in Cat5/Cat6/Cat7 Network Cable and tagged ethernet card, Fiber Connectors, fiber switch, serial to ethernet on May 16, 2013 by Amelia.Liu.